November 16, 2010. A date that has now been seared into history, alongside the day when the Japanese bombed Pearl Harbor, and the day that JFK got shot, which I think were both in December, but I don’t actually remember exactly, and the day of 9/11 which is of course easy to remember since it’s the actual name of the day. But this? 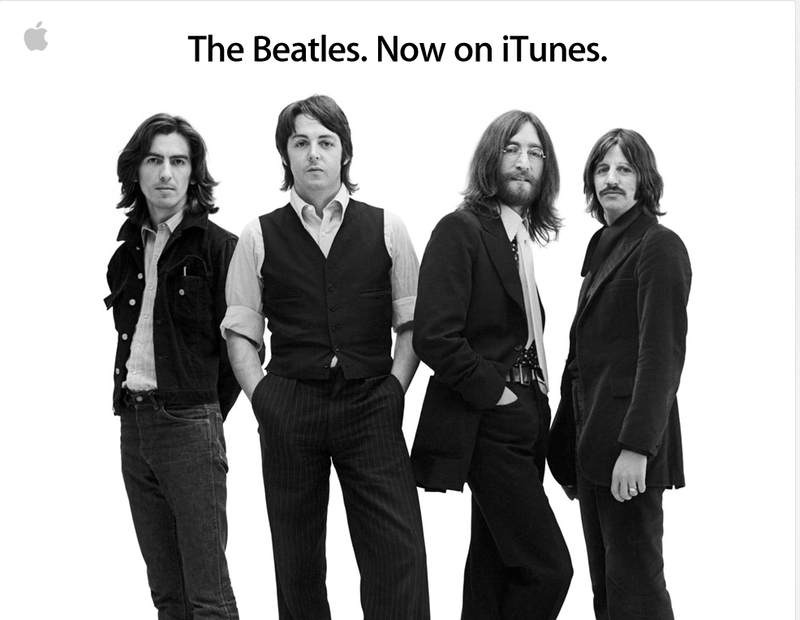 The Beatles on iTunes? Who will ever forget this day? Who will forget this day when the greatest musical artists of all time finally agreed to make their historically significant music be downloaded at a reasonable fee via the greatest online music store that has ever been created. Even if you wanted to forget, I dare say, you will not be able to. No, you will never, ever erase this date from your memory. Even if you live a hundred lifetimes, and survive a dozen world wars, and a nuclear attack by robots from outer space; even if you win the Nobel Prize for discovering the cure for cancer, and have so many children that you need to write down their birthdates so you remember when to send them cards, and even if you end up with full-blown friggin Alzheimer’s and can’t remember your own name — no, even then, I dare say, you will never, ever, forget this date. Oh, and one more thing. Bite me, Yoko. Bite me hard.